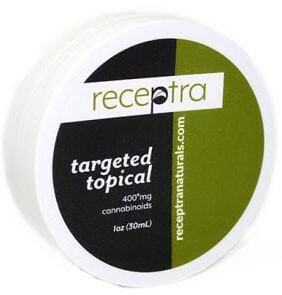 When buying CBD topicals, be wary of creams that fail to state their CBD content, even if they’re made with hemp oil. If they can’t guarantee how much CBD is in the product, it’s likely to be low. We’ve gathered a list of our top recommendations for vetted CBD topical creams. We have only included products that actually specify exactly how much CBD is in their product, and all of them are third-party tested. If you suffer from acute muscle or joint pain, you’re probably better off using a CBD cream with a particularly high percentage of CBD. 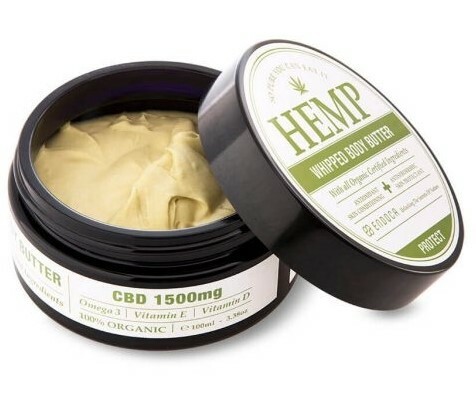 Rich with a host of ingredients that protect and moisturise your skin – including shea butter, cocoa butter, coconut oil and hemp seed oil – there is also 1500mg of CBD in this product, meaning a significant amount of CBD can be absorbed through the skin. Made with 100% natural, organic, food-grade ingredients, Endoca has said that their Hemp Whipped Body Butter is good enough to eat. Endoca grows, harvests and processes its own hemp, and doesn’t use any pesticides in the process. They implement a number of eco-friendly policies to make their business as sustainable as possible. 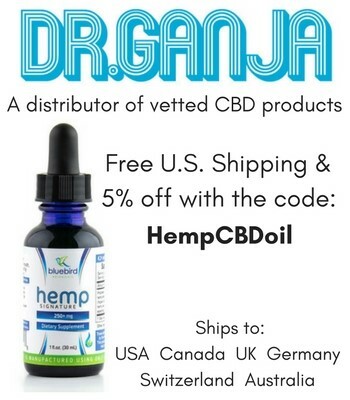 The total product volume is 3.38 oz (100ml), with a total CBD content of 1500mg. 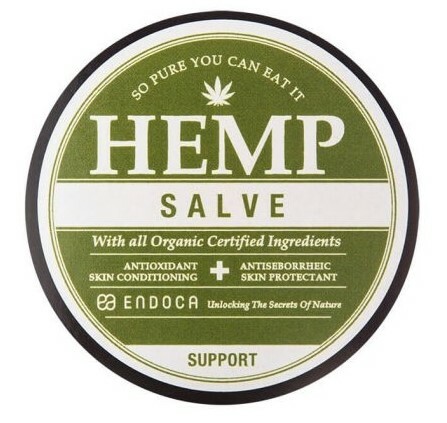 This topical salve is another high concentration product with 500mg of CBD per ounce. CBD extracted from pesticide free, non-GMO hemp is combined with a myriad of natural ingredients like arnica and lavender to create a calming and fast acting pain relief cream. CBDistillery is an established CBD supplier founded in Colorado. Their products are made from outdoor grown, pesticide free hemp with organic practices. They have their products third party tested for purity and potency. The total product is 1 oz (30ml), with a total CBD content of 500mg. This is another CBD-rich topical from Endoca designed specifically to bring you relief from sore muscles and other types of irritation. This 30 ml container is made 100% of natural, organic and food-grade ingredients. It contains 750 mg of CBD, allowing its active ingredients to be absorbed directly through the skin. It can also be used to treat issues like mild seborrheic dermatitis, environmental damage, ageing skin and dryness. The total product is 1 oz (30ml), with a total CBD content of 750mg. Containing 400mg of CBD and made with a mix of nourishing essential oils such as Jasmine oil and Ylang Ylang, this cream will naturally restore and moisture your skin. It can be used to calm skin irritations and help to reduce minor blemishes and bruises. The total product is 4 oz (118ml), with a total CBD content of 400mg. This CBD salve is designed to provide targeted relief. You only need to use a small amount of the salve, and gently massage it into the inflamed or sore areas. Unlike other creams, just a small amount of the product is needed at a time, making for a more convenient application. 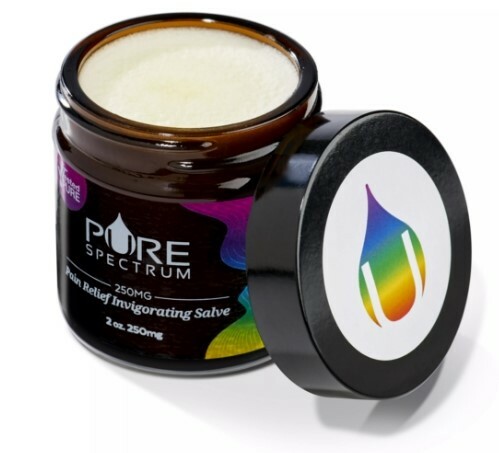 Based in the US, Pure Spectrum has partnered with a number of cannabis research centres, utilising extraction methods at the forefront of the industry. As part of efforts to raise standards across the industry, they publish the test results for their batches online, and they’re more than happy to help you understand these if necessary. The total product is 2 oz (60ml), with a total CBD content of 250mg. This topical CBD cream is designed to attack muscle and joint irritation, aiding recovering and prevention at every stage of the exercise cycle. If your active lifestyle tends to cause you discomfort, this cream will help inflammed muscles and joints heal more quickly. It’s naturally scented with Jasmine and Ylang Ylang, and with 300mg CBD in the total product it has quite a high concentration of CBD. All of the hemp that is used in Receptra products is grown by family-run farms in Colorado. Furthermore, the company only extracts CBD from the hemp flowers, rather than using the stalks and leaves as well. Each batch is tested by a third party, and the results of these are easily accessible online. The company also works with MMA athletes, using CBD as an aid in muscle recovery. The total product is 1.25 oz (37ml), with a total CBD content of 300mg. Arnica oil, beeswax, camphor, coconut oil, emulsifying wax, jasmine, jojoba oil infused with hemp extract, mango butter, Shea butter, shorea butter, vitamin e oil, ylang-ylang. This lightweight relief cream is perfect for frequent use, packed with CBD and essential oils like Argan oil. It’s made with peppermint, giving it a refreshing smell, as well as cooling menthol. 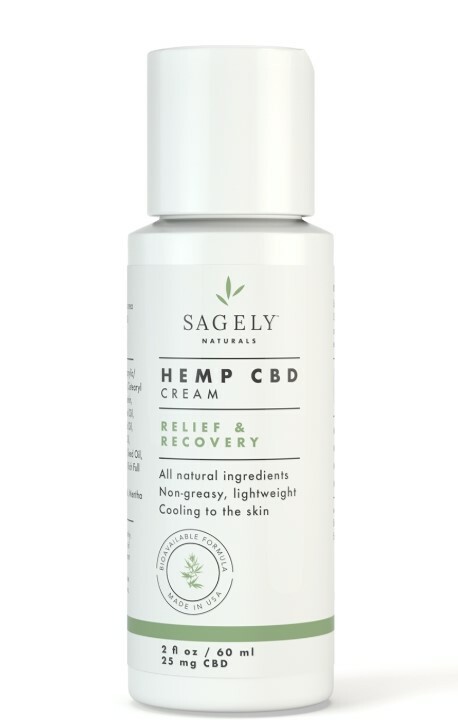 The formula for this Sagely Naturals cream was created by PhD chemists, and is made with hemp that has been grown in the US. To guarantee that you’re always getting a safe and effective CBD cream, Sagely Naturals triple lab tests every batch that they produce. The company was founded in Santa Monica, California by two women who learned that CBD oil was helping their mothers cope with everyday pain as they aged. All of their products are made with CBD, a mix of essential oils and are free from parabens, synthetic fragrances and artificial colours. The total product is 4 oz (118ml), with a total CBD content of 50mg. Made from a range of high-quality natural ingredients, including high-CBD hemp oil, organic East African shea butter, frankincense, Palmetto Harmony’s Cannacense is a nourishing and natural topical cream. If you prefer organic skincare products this could be a good option for you, as Palmetto Harmony strives to utilise organic practices. As such, this product is completely from artificial scents and additives. Having found CBD to be an effective treatment for her daughter’s neurological condition after modern medicine had failed, Janel Ralph founded Palmetto Harmony in 2015. The company’s entire range of CBD products are organic, meaning that their hemp plants are grown only with organic practices, using combative pests instead of chemicals as pesticides. Every batch of their products is third-party lab tested by an ISO-certified lab for consistency and safety, meaning they are tested for an accurate CBD content as well as for the presence of mould, pesticides, heavy metals, microbials, herbicides and residual solvents. The total product is 2 oz (60ml), with a total CBD content of 100mg. This nourishing, pain-relief cream is suitable for frequent use, with CBD Daily recommending that sufferers massage the cream into affected areas three to five times each day. In addition to easing pain, this intensive cream will also leave your skin feeling nourished and moisturised, as it is made with a number of essential oils including argan oil, jojoba oil and shea butter, and has no artificial ingredients. The CBD Daily range of products are manufactured by the family-owned company Earthly Body, which is a California-based manufacturer that has been making natural hemp-based personal care products since 1996. Their entire range is 100% vegan and is never tested on animals. The total product is 1.7 oz (50ml), with a total CBD content of 60mg. What can CBD creams be used for? There are a number of potential advantages of using a CBD cream as opposed to other methods of administration. For one, some users find that CBD creams produce the best results for easing muscular pain in targeted areas. Secondly, topical creams eliminate the possibility of testing positive for THC in a drug test, as even small traces of THC from CBD oil can accumulate in the body over time. 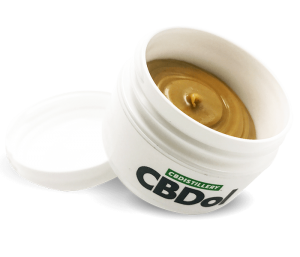 The third main advantage of utilising CBD in cream form, is that the process of applying a CBD cream is soothing in itself. Massaging CBD cream into sore muscle tissue, joints or ligaments can provide the most worthwhile form of relief for this type of ailment. Most CBD creams are applied in a similar way, but always consult the instructions on your product. Before applying the cream, wash and dry the area. 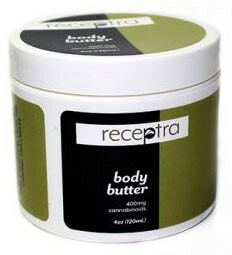 Gently massage a small amount of cream into the affected area, avoiding the eyes and other sensitive areas. Wash your hands once you’ve finished applying the cream. Most products recommend you apply the cream 1-2 times daily, though some can be applied as often as needed.